President Trump spoke to reporters outside the White House on Friday about the FBI inspector general's report, Paul Manafort and what "a great job" he did during his summit with North Korean leader Kim Jung Un. President Trump, in a freewheeling impromptu news conference in front of the White House on Friday morning, said the Justice Department inspector general's report looking into the FBI's investigation of Hillary Clinton's use of a private email server "totally exonerates me." Trump asserted, "I did nothing wrong. There was no collusion, there was no obstruction, and the IG report yesterday went a long way to show that." He continued, "I think the Mueller investigation has been totally discredited." The nearly 600-page report by the Department of Justice inspector general did not look into Trump's campaign activities and is completely separate from independent counsel Robert Mueller's investigation of Russian interference in the 2016 presidential campaign. 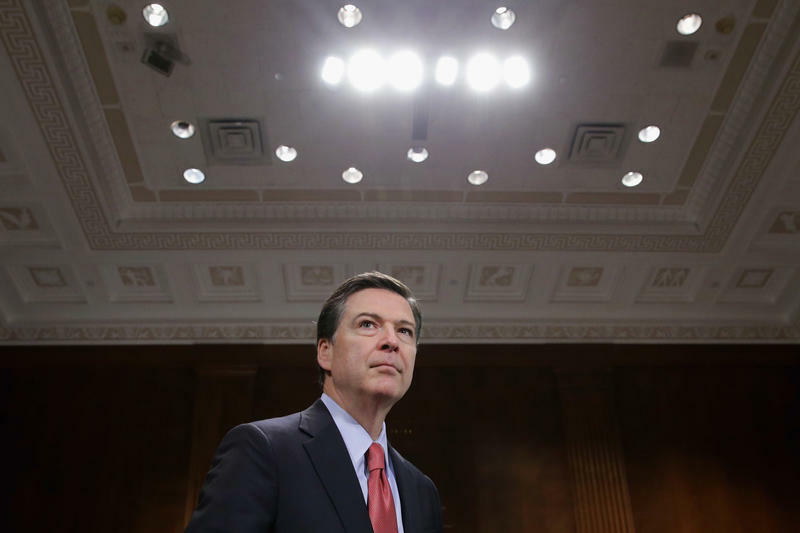 It concluded there was no evidence of bias in the FBI investigation of Clinton's use of a private email server but was sharply critical of former FBI Director James Comey, saying he violated policy and practice in his handling of the email probe. Trump said the report showed Comey "lied a tremendous amount" and said the IG's report showed "bias against me and tens of millions of my followers," citing a text message by FBI agent Peter Strzok to FBI lawyer Lisa Page. Page texted Strzok that Trump "was not ever going to become president, right? Right?!" Strzok responded: "No. No he won't. We'll stop it." Trump said Strozk "should have been fired a long time ago." Trump, who also appeared on Fox News on Friday, called Comey "the ringleader of this whole, you know, den of thieves. It was a den of thieves." Trump distanced himself from his former campaign manager Paul Manafort, whose bail was revoked by a federal judge on Friday. Trump said Manafort only worked for him for "a very short period of time." Trump added that he feels "badly for some people, because they've gone back 12 years to find things about somebody. And I don't think it's right." Manafort is facing charges of money laundering and making false statements. He was ordered jailed after prosecutors added charges of obstructing justice and conspiring to obstruct justice alleging that he attempted to influence testimony of potential witnesses in his upcoming trial. During his wide-ranging press conference, Trump also addressed immigration and North Korea. Trump said he plans to call North Korean leader Kim Jong Un this weekend, saying that he has a good relationship with him and that he had given Kim his phone number so that he could reach him directly. Trump bragged: "I did a great job this weekend" in his summit meeting with Kim. "We're well on our way to denuclearization," Trump said, adding that he "saved a lot of money by agreeing to halt military exercises with South Korea." Critics say the agreement Trump signed with Kim was vague. But the president insisted he got "everything" in the deal, citing North Korea's agreement to return the remains of American soldiers killed during the Korean War, a process that has been ongoing for many years. Trump told Fox & Friends that when Kim speaks, "his people sit up for attention. I want my people to do the same." Trump later said he was joking. Trump also addressed his administration's controversial policy of separating children from families crossing the southern border. Trump claimed that it was "the Democrats' law" that his administration is now following and that he hates "the children being taken away." He also said he would not sign the more moderate of two immigration bills now working their way through the House of Representatives. That bill is set to come up for a vote along with a more conservative immigration bill next week. "I'm looking at both of them. I certainly wouldn't sign the more moderate one," Trump said. He then gave a list of what he wants to see in an immigration bill, all of which is in the compromise bill proposed by GOP leaders. 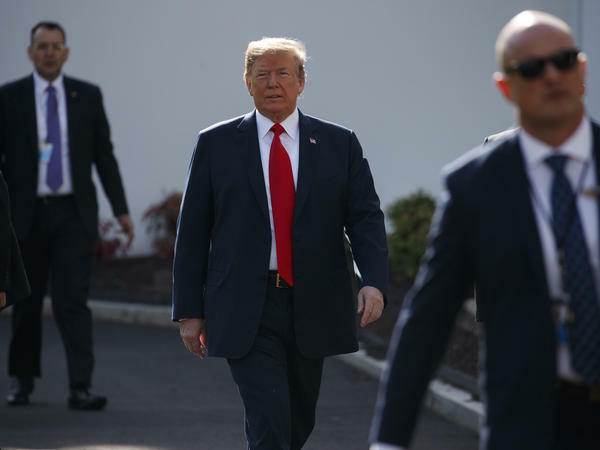 Trump called for "tremendous" border security including a border wall, and the bill provides funding for a wall, personnel, technology and infrastructure for border protection. Trump also demanded an end to the visa lottery and what critics call the "catch-and-release" policy, both of which are addressed by the compromise bill. White House adviser Stephen Miller met with conservatives in the Republican Study Committee on Wednesday and offered private assurances that the president supported the bills. House GOP leadership aides worked in conjunction with White House aides including Miller and White House legislative director Marc Short to make sure that the compromise bill could secure the president's signature if it reached his desk. A Justice Department watchdog on Thursday criticized former FBI Director James Comey for violating long-standing department guidelines and mishandling the Hillary Clinton email investigation in 2016.